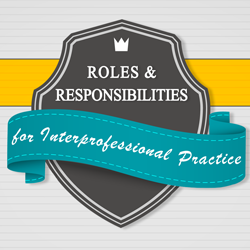 We are pleased to offer curricular IPE eLearning resources for health professions educators looking to provide their students with an introduction to interprofessional teamwork and collaborative practice. Released as an open educational resource under a Creative Commons Attribution-NonCommercial-ShareAlike 4.0 International License, our elearning resources, instructor’s guide, and project source files are available to educators interested in incorporating them in to their curriculum. 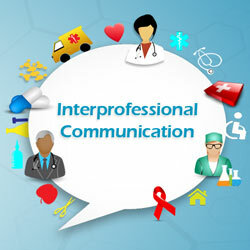 Designed around the IPEC Core Competencies for Interprofessional Collaboration and Practice (2011), the ITEACH e-learning modules review core concepts relating to communicating with patients, families, communities, and other health care providers in a responsible manner that supports a patient-centered, team-based approach to the maintenance of health and the treatment of disease. The modules use exercises and an unfolding patient case study shown in a series of short video clips to illustrate the effects of teamwork and communication on health care providers, patients, and their support networks. 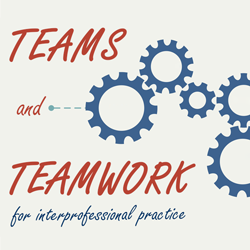 Through these video cases, learners can reflect on how interprofessional teamwork and collaboration is used to promote quality, patient-centered care. Each module contains 6-10 minutes of video, interactive quiz questions and learning activities, and feedback focused on a core competency area. The resources come with an instructor’s guide for additional debriefing, class discussion, and extension topics. 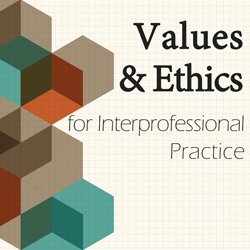 The modules are ideal for online courses or for face-to-face classes as a precursor to simulated or clinical interprofessional learning. Please contact Mr. Shawn McGinniss at smcginni@hunter.cuny.edu for a copy of the instructor’s guide and for tips on using these IPE elearning resources in your course or program. Web-hosted versions of each module are provided below; SCORM versions are also available for use within a LMS (tested in Blackboard 9). © 2019 IPE Lab. All Rights Reserved.